Movie villains make a scary horror movie even better, so we thought we should showcase the film villains who bring the greatest horror and chills. This Top 10 Villain list includes more than just 10 villains. Each villain competes with each other by what users vote up or down. We listed the villains but allow users to help round out the final score of each villain. A villain can change position and get voted into the top spot as the greatest movie villain or get voted down to an honorable mention. For movie villain suggestions, please recommend a movie villain in the comments below the list. Do not comment on the order, this is a dynamic list that is changing by user ratings so vote to register your own opinion for who should take the top spot. We try to list all known stars who played the villains' role. Some villain characters have too many different stars to record. 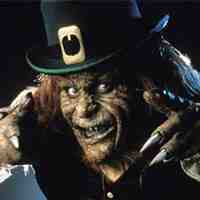 The Leprechaun is funny and sure does not care who he kills to take back his gold. I loved the series until they went a little too far with the character. 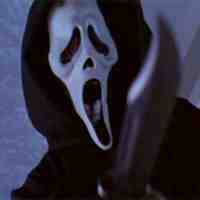 Ghostface is not all that scary but a worthy mention due to the popular Scream series. The demonic Djinn is an evil genie and any wish you make will always be turned into something evil and twisted. I enjoyed watching this villain in every movie because you never knew what he would do next. He is highly entertaining as he is both funny and exceptionally evil. I love how he always tricked everyone into making a wish and then cruelly changing the wish into something grotesque and horrifying. 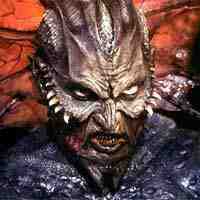 You have to see the Wishmaster series if you haven't already. 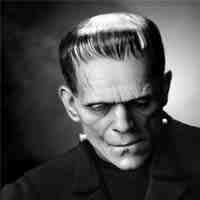 Made from various dead body parts, Frankenstein is a troubled creature. Dr. Frankenstein then brings him to life using lighting. The massive amount of energy creates a life force in the once dead creature. Jigsaw is the mastermind behind the Saw series. Jigsaw focuses on people who are not living their life to the fullest. He then puts them in a scenario either by mutilating themselves or by killing others in order to show them through the fear of death, just how lucky they are to be alive. The Candyman haunts the mirrors similar to Bloody Mary. 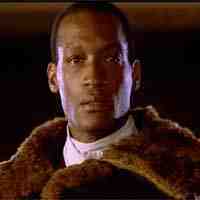 Candyman was a slave when he was alive. He fell in love with a white woman. He died for this love. He died from massive amounts of bee stings. He came back as a vengeful spirit in order to kill and exact his revenge on all. The Creeper is that scary stalking figure haunting everyone. Just when we think it gets as scary as it could get, we get a better look at the creature and it takes us to a new depth of scary. 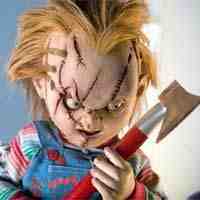 Chucky is the killer child's doll possessed by a killer. Charles Lee Ray or The Lakeshore Strangler is the killer. Before dying he transfers his soul into the body of a child's doll. Chucky must take the body of the first person that he reveled his true identity to; a little boy named Andy Barclay (Alex Vincent). The Thing from the famous John Carpenter horror movie in which a being infiltrates a group then starts replicating itself to look like the crew. Once it looks like a crew member, it kills that team member and moves onto the others. Dracula, portrayed by various individuals and in various stories. Dracula is the famous vampire in movies, books and games. A master vampire lord in his own right. Vlad is cruel and extremely powerful. 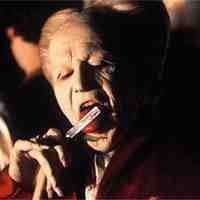 Dracula has a light side for a woman that he has been searching for throughout his hundreds of years of existence. 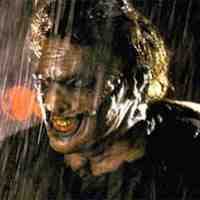 Leatherface is the deformed cannibal from Texas Chainsaw Massacre. He wields a chainsaw and loves to kill. Leatherface covers his own face with a mask of human flesh sewn together. 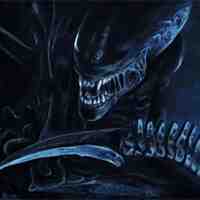 Xenomorphs, scary alien creatures who think of nothing other than hunting prey. With saliva oozing, acid blood and a tail tipped with a deadly spikes, the xenomorphs are the ultimate predators. Pennywise The Clown is the demon who murders children disguised as a common clown. He is, in fact, a demon monster played by Tim Curry masterfully and will haunt anyone's waking moments. 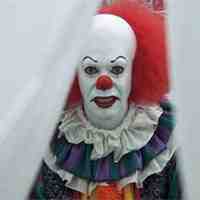 Pennywise the Clown is a frightening character from the mind of Stephen King. Predator started off in the sci-fi action movie where it takes out a team of commandos in the jungle save Arnold Schwarzenegger. 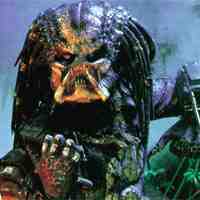 The Predator is a race of creatures that search the galaxies looking for worthy prey to kill. This brings us to the Aliens vs. Predator movies. Supposedly the Predators came to earth far back in the past and created pyramids in order to hunt the Aliens. If they were successful, they earned their place in the Predator rankings. Predators camouflage themselves, have great strength and an arsenal of high tech armor and weapons. Hannibal Lecter is the villain who is smarter than everyone else; that alone is horrifying. He thinks 5 steps ahead of the authorities and plays the game. 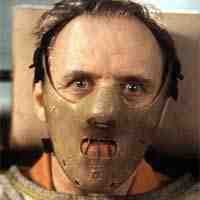 Hannibal Lecter is a cannibal whose first victim was his own sister. Pinhead is all about pain and suffering. He comes from an extra dimensional realm. 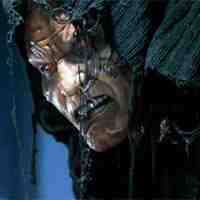 He is also the leader of the cenobites, the evil demons of hell. Pinhead seeks out to gather human souls. 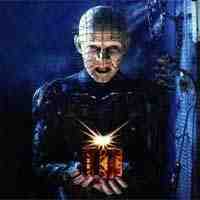 Pinhead is the disciple of the god Leviathan. 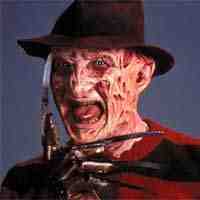 Freddy Krueger is a demon of dreams. The townsfolk of Elm Street threw Freddy into his furnace and burned alive because he was slaughtering their children. He takes revenge by murdering the children of the people who burned him alive Funny villain who is all powerful in the dream world. 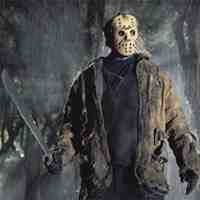 Jason Voorhees kills many at Crystal Lake and seems unstoppable. I loved the versus Freddy story as that seemed like a deathmatch made in hell. 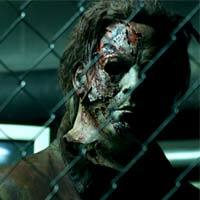 Michael Myers is a serial killer who enjoys killing people. That is why he is on this list. John Carpenter created this character as "almost a supernatural force of nature." He is an evil force on a rampage, a force that is "unkillable". Michael is the elusive boogeyman with a mythic feel. Myers cannot be killed by bullets, stab wounds or fire. He possesses superhuman strength that easily over powers his victims.